Brewer, cleaner, stockman, spread sheeter – Fortitude Brewing Company. Many roles in the beer industry over the last 12 or so years. Brewer for Murrays, Sunshine Coast and Mount Tamborine Brewery. As well as a beer consultant, sales rep, Sommelier, bar tender, bottle shop attendant, beer writer/speaker/event host. Originally I was a plumber but I haven’t done that for a dollar in a long time. Learning more about beer and discovering new techniques and ideas and how to implement them not only into new/experimental beers but into general brewing practice. I don’t really have one. 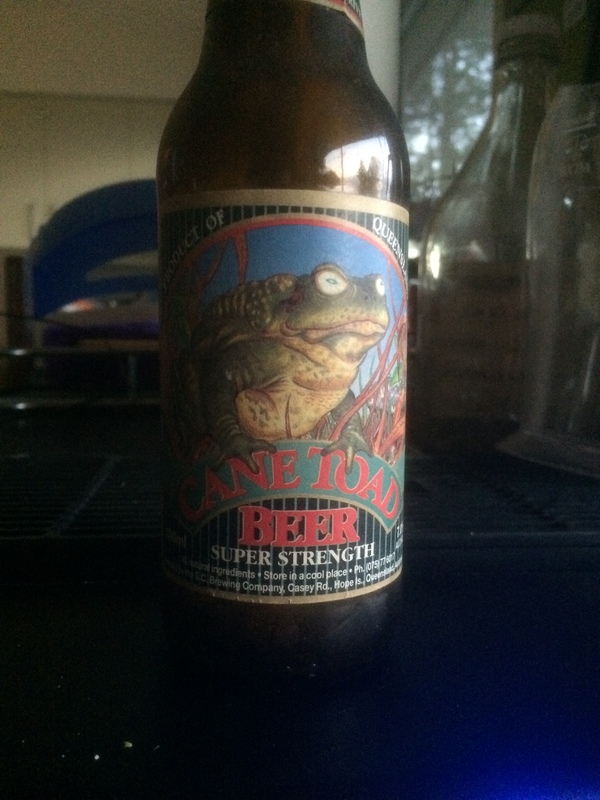 I drank my first ‘craft’ beer back in 1992. Of course it wasn’t called craft beer back then (back when we wore onions on our belt as was the fashion at the time), the favoured term of the day was ’boutique’ beer but it fits todays definition of craft. I didn’t enjoy it at all (even though I still have that bottle…yep, I really do) but it did get me thinking about what beer could be. After that it was a slow journey of discovery over the following decade or two up until this point. Many beers along that way were perhaps notable for having an impact on my thinking but no real lightbulb moment. Redoak Special Reserve – I had this one first with Dave (brewer) just before it was released and won Grand Champion beer at the AIBA. I was gobsmacked by it and couldn’t stop thinking about it for the next few weeks…and then it won and I still couldn’t stop thinking about it. Wig & Pen 2000 Not Out – A special barrel aged beer made to celebrate Richard’s 2000th batch for the brewery. An incredible display of grace and finesse in a beer that you all too rarely see. Nogne Ø Red Horizon – an incredible beer with plenty of drinkability and a real depth of flavour that hid its alcohol content ridiculously well. Unibroue 17 – a beer that left me lost for words with its balance. Being lost for words wasn’t a great help when I was trying to write tasting notes for it! I am a real sucker for Belgian style/inspired beers of just about all types. Tripels, Dubbels, strong pales, blondes, Flemish Reds, Lambics, Wits, Saisons etc etc … I love them all. Other beer types can be good, special, even extraordinary and they all have their place but that place in my heart is second to Belgian style beer. I believe my mate Les at Craft in Red Hill has some stock of Unibroue beers at the moment so I would likely head straight there and spend it all on that. Unibroue is one of my favourite breweries in the world. Beautifully made Belgian inspired beers packaged in gorgeously labelled bottles with a lot of focus on the full gastronomic experience rather than just a one dimensional smack in the face. Do yourself a favour – GO AND BUY SOME UNIBROUE BEER! I used to have a hoard of bottles myself but it started to get silly so I binned pretty much all of them bar two or three special ones. I also used to have an obscene amount of beer glasses but once again I have whittled that down to a few dozen ‘essentials’. Aged beer was also in high volume but then I started drinking them to keep it manageable and now have maybe 50 or 60 bottles of varying ages up to 40+ years old. Beer books is probably my most active and growing beer-related collection but I am doing my best to keep it in check. I live an hour away from Brisbane so I very rarely get out in the Brewsvegas scene. I do think Brisbane has one of the best beer bar scenes in the country with venues like The Scratch, Tippler’s Tap, Tomahawk, Archive etc etc all providing great venues in differing ways. At the moment I would say Tomahawk but the answer may be different next week. I have three young children who loooooove dinosaurs so a trip to the museum followed by a beer and a feed at Tomahawk is a fun family day out. Good beer and good food with a menu that the ‘squids’ like is a big winner with us. Kegs….but probably bottles over cans. Everyone loves to talk up the advantages of cans and some of them are very true. Cans are lighter, more transportable and let in no light (keep your beer in the dark guys). Cans can get into some venues that bottles can’t. However, in order for the packaging format to be better the filling method has to be just as good and most small can fillers don’t have the quality of fill that you get from a bottle filler of the same value. Oxygen ingress is much lower in a can but that matters little when you pick up more oxygen getting it into the can than you would getting it into the bottle. Spend really big bucks and the can is potentially the better format but for those spending under $1m per bottle filler from a reputable company is probably going to give the better fill dollar per dollar. I have spent a lot of time researching this over the last seven years since I first looked at buying a canning line. Cans are also not as versatile for fill type (no bottle/can conditioning for big/special beers in a can) and no matter what anyone says a bottle is a lot prettier…it just is. Yes, romance is a factor for all of us. But with all that said, cans do have their place and I can only see their presence growing. To grow and grow and become not just the ‘craft beer industry’ but the ‘beer industry’ and get good beer in the hands of as many people as possible in as many places as possible. Let’s make SEQ the most accessible place for craft beer in Australia. The same as now – day to day brewery operations and hopefully with a few uber special brews ticking along in the background. I don’t really read blogs too much so it is not really a fair race. 250beers.com would win because I read this column pretty often to catch up on and find out who’s who in the SEQ beer industry. 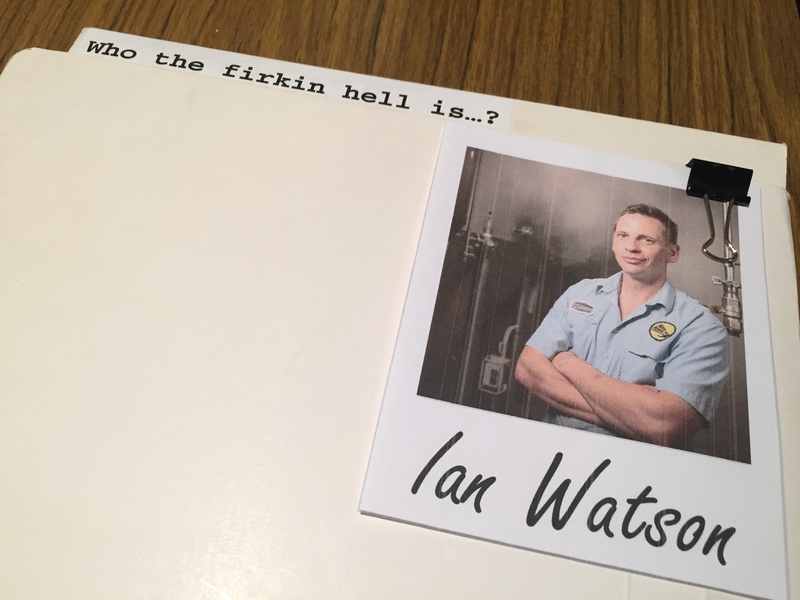 Years ago I knew most of the industry identities very well and would often share a beer or feed with them but moving interstate for three years and then moving back up to the mountain has left me a little out of the loop so ‘Who the firkin hell is…?’ has become a tool for me. Thanks a million to Ian for his time…all I keep thinking about is his stash of beer consisting of bottles older than me! Ian, if you’re reading this and scan this far down…if you ever need a hand trying a few of those in the near future, my hand is firmly raised. « Who the firkin hell is…Tim Goulding?